These three words piqued my interest when I received an invitation to a new restaurant in Bonifacio High Street. Although more and more places catering to the health-conscious crowd have been popping up lately, there are still only a few of them and not all are hits. 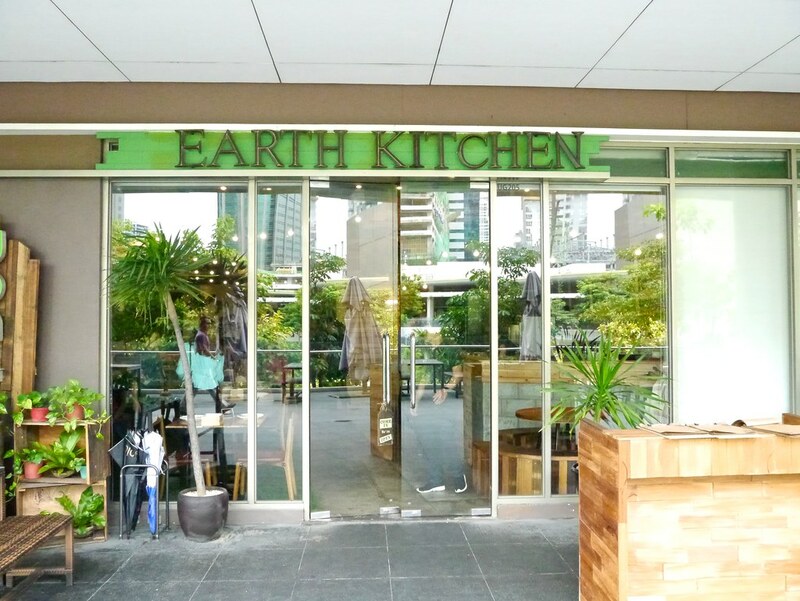 That's why T and I are excited to visit Earth Kitchen in BGC. 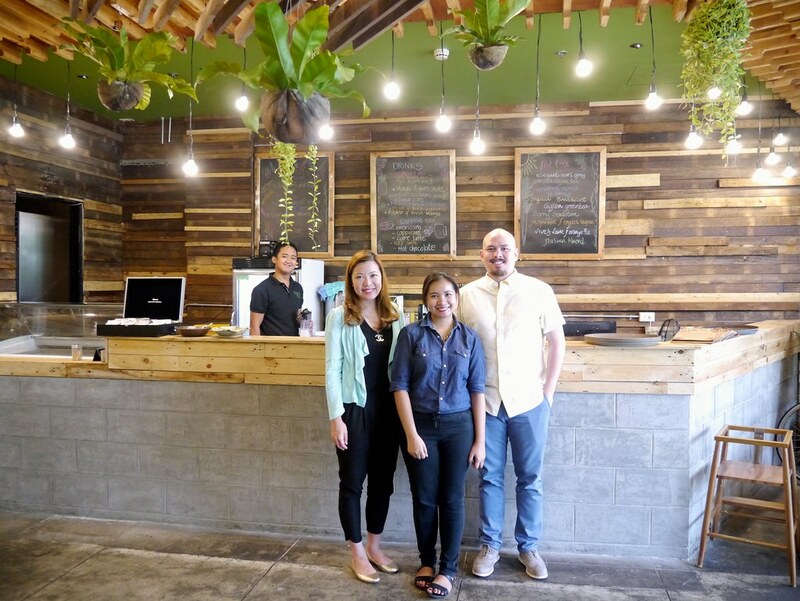 Earth Kitchen is a partnership between Got Heart Foundation, Hizon's Catering, Chef David Hizon, and Chef JR Trani. 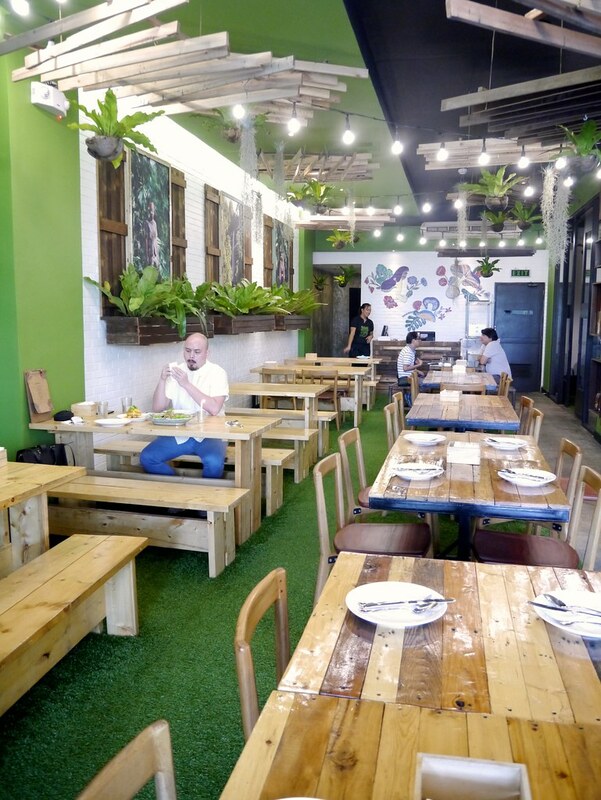 It was formed to sustain the livelihood of local farmers and indigenous communities by using only ingredients sourced locally in the dishes found in Earth Kitchen's menu. 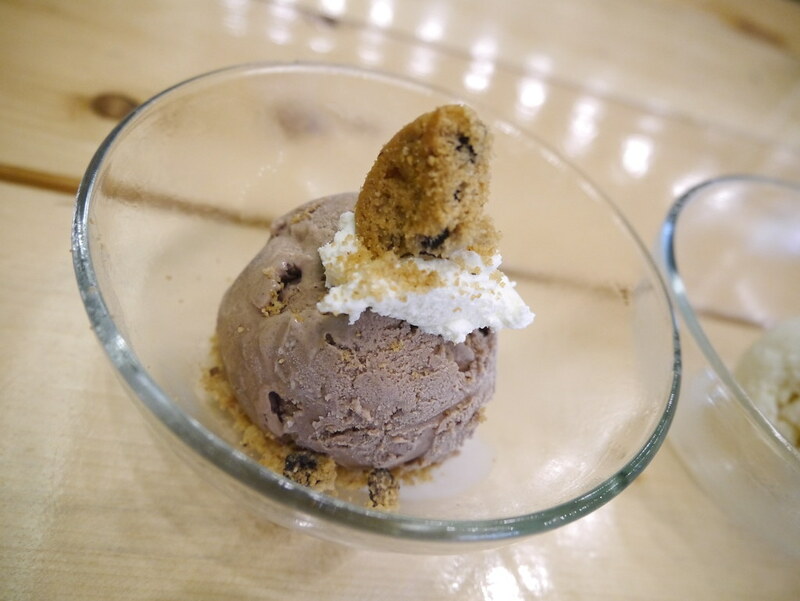 In fact, almost everything they serve is made from scratch-- soups, pastas, even the ice cream! 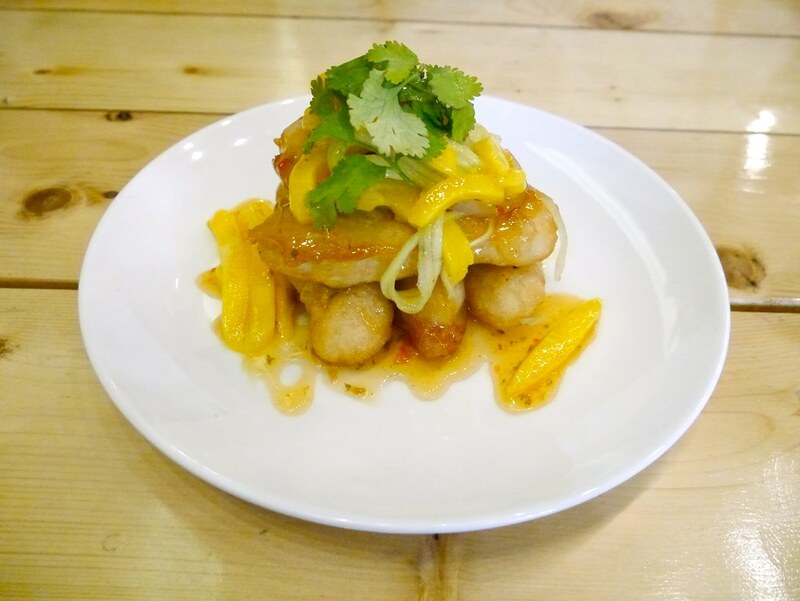 Most of the ingredients used by Earth Kitchen are also for sale in the restaurant, together with other produce from the farms supported by Got Heart Foundation. I know health buffs always add chia seeds to their food or juices but have a hard time finding it, or if they do, it's too expensive. Well, good news! 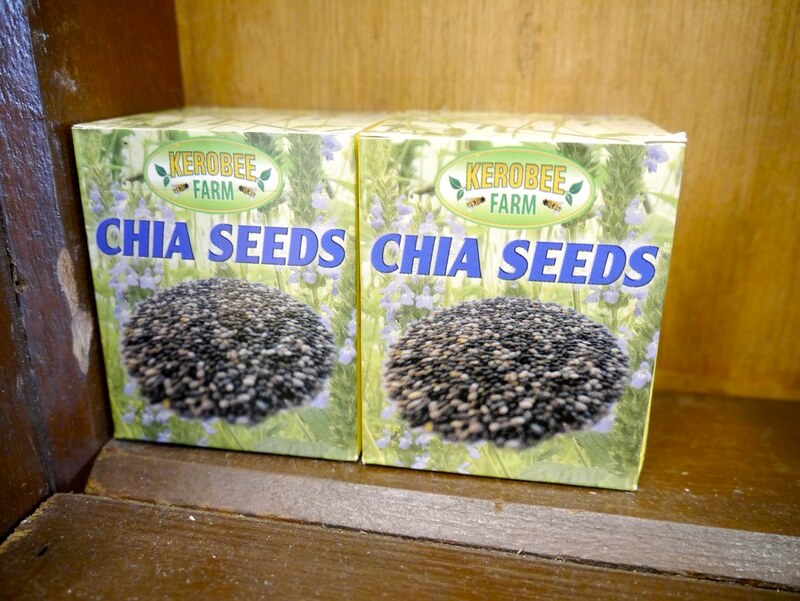 There are boxes of chia seeds for sale in Earth Kitchen BGC. 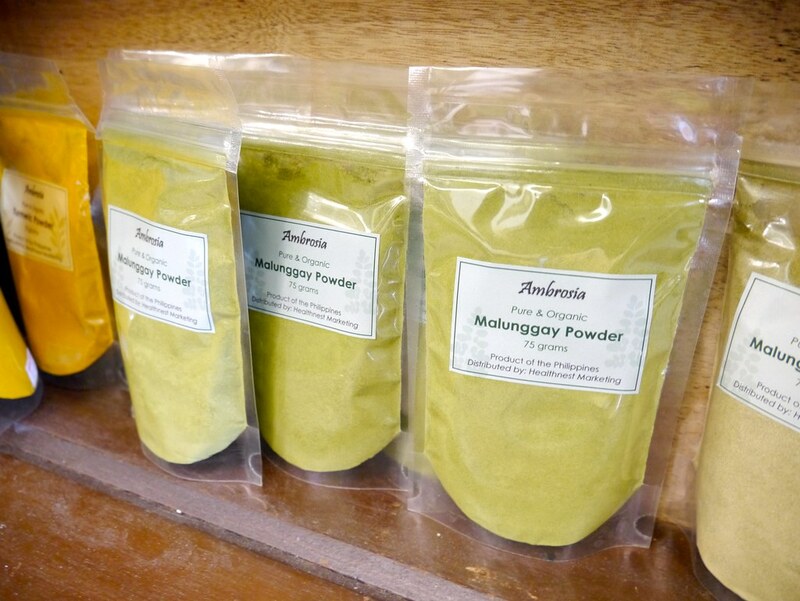 Other products that catch my attention are these packs of malunggay juice (attention breastfeeding moms!) 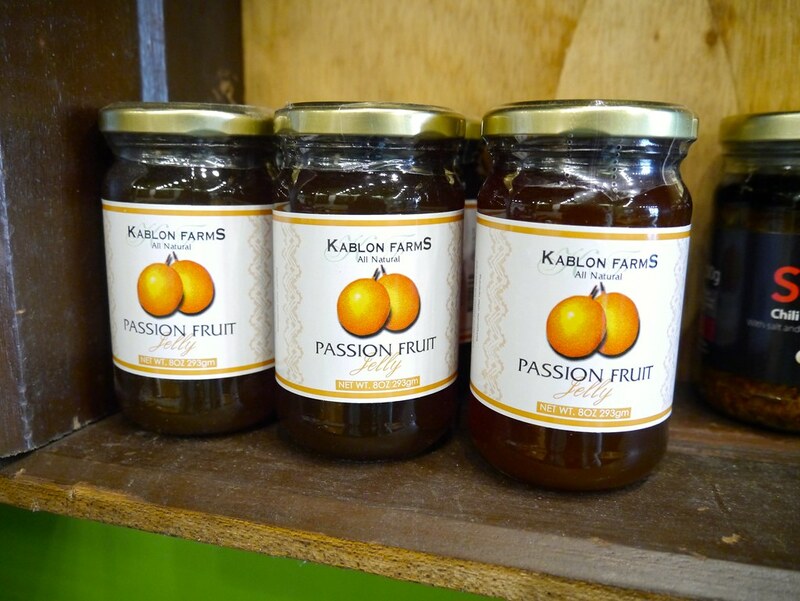 and bottles of passion fruit jelly. 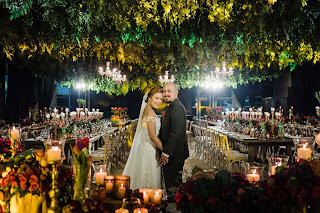 I love dining al fresco but with our weather, it's almost impossible because of the rain or the heat. 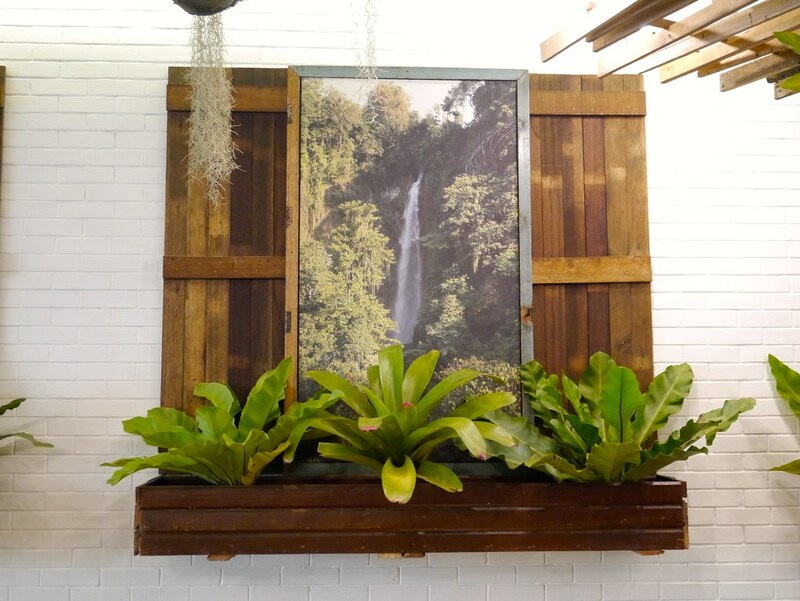 In Earth Kitchen, dining indoor feels like the outdoors with all the plants and greens strategically placed around the restaurant. 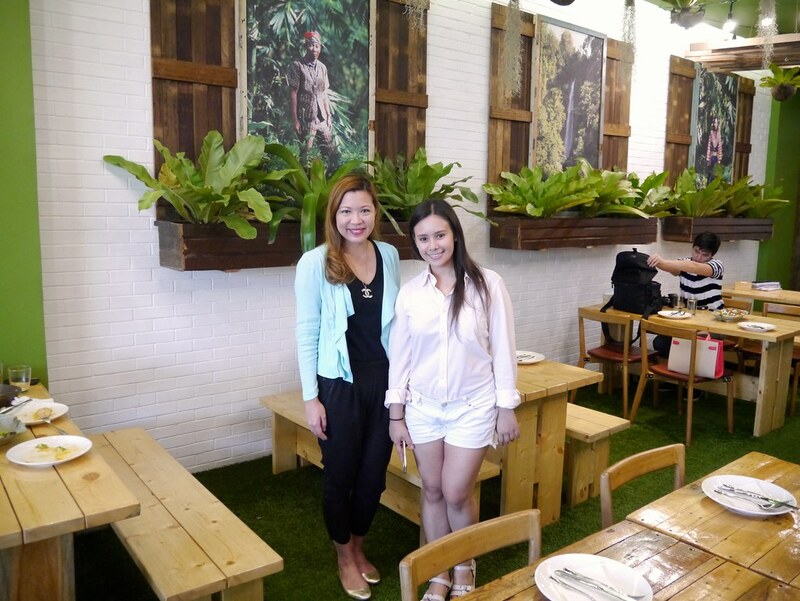 It's nice to run into Jill Bantang aka The Food Scout who is there to dine too. Small world, Jill did her On-The-Job training where I work now but she and I met only recently during one of the events we both attended. OOTD Time! 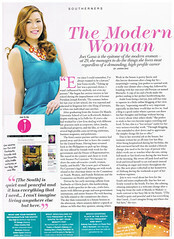 Wearing H&M from head to toe except for my jacket (a Japanese brand) and my necklace (Chanel). For our appetizer, T chooses Fish and Mango (PhP180/$3.85) which is mahi-mahi fillet with ripe mango, cilantro, and chili plum sauce. This is Earth Kitchen's healthier version of fish and chips and we really like it. 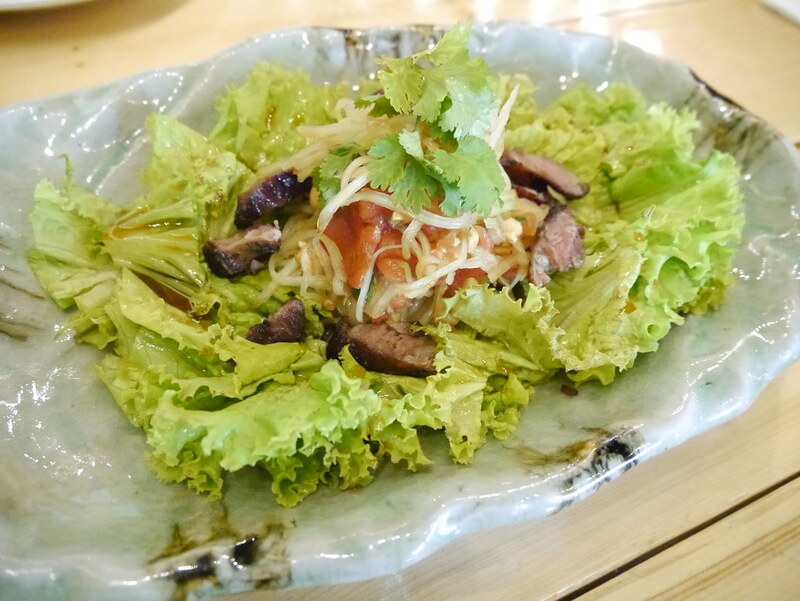 T and I are also asked to try the Beef and Citrus Salad (PhP290/$6.25) which is boneless beef ribs tossed with raw papaya, peanuts, cilantro, herbs and greens, and dayap vinaigrette. I don't like red meat in my salad as I prefer chicken or other vegetables but this salad is surprisingly good. 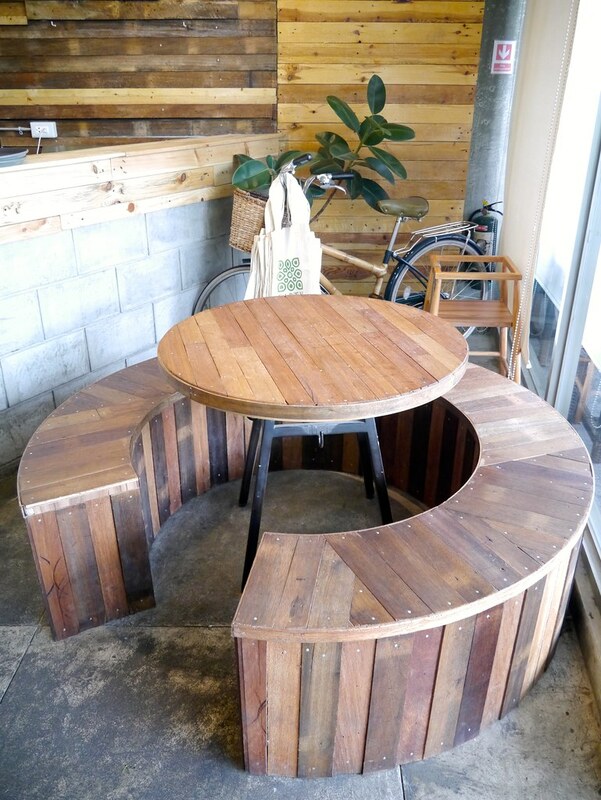 No wonder it's one of Earth Kitchen's best sellers. 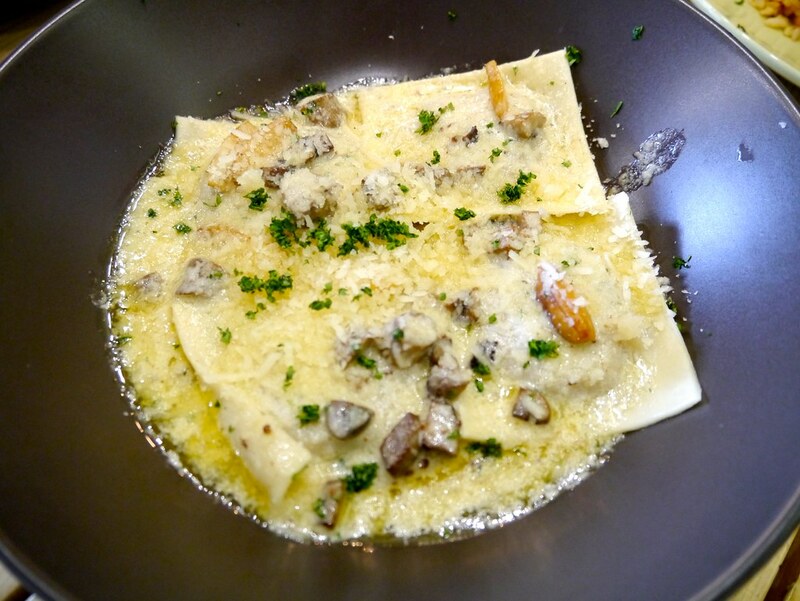 For our pasta, I order the Mushroom Ravioli (PhP370/$7.92) which is kesong puti (white cheese, my favorite! ), three kinds of mushrooms (shiitake, button, and milky), and pili nuts, all mixed in a light cream sauce. The flavors are simply amazing. This is my favorite out of all the dishes I've tried today. We are also given the Milanese Risotto (PhP580/$12.45) which is risotto with saffron, parmesan, butter, and gremalata topped with organic braised beef short ribs. 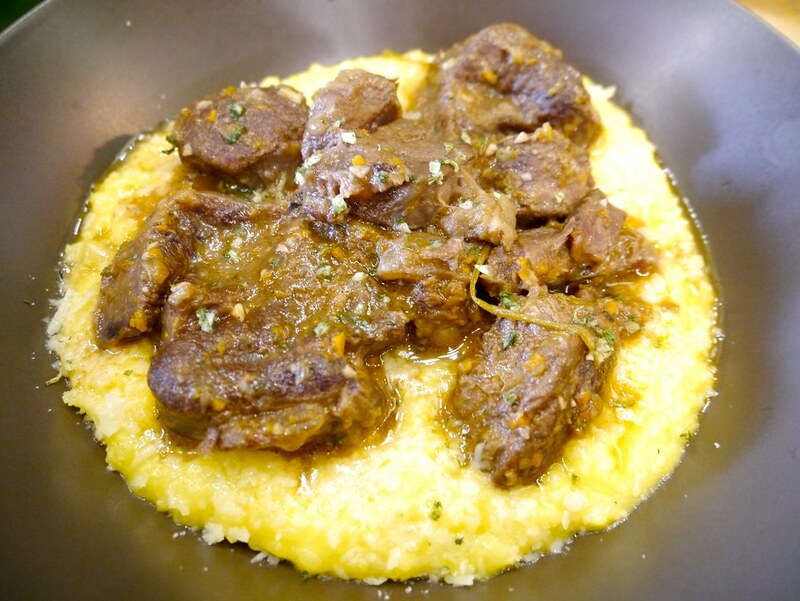 The risotto is very flavorful but the beef is just right so the overall taste of the whole dish is not overpowering. 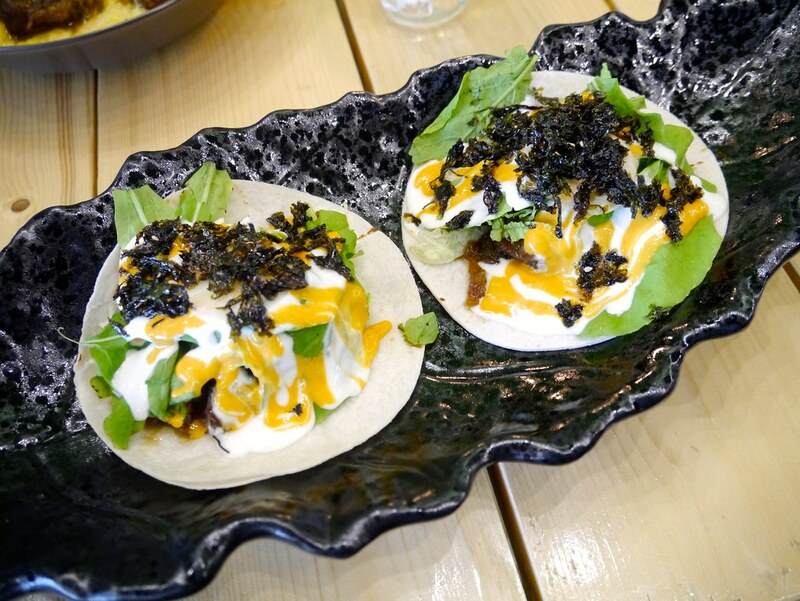 As if those dishes weren't enough, we are made to try the Beef Bulgogi Soft Tacos (PhP268/$5.67) which is boneless beef ribs and kimchi rice, mixed with salad greens and seaweed. 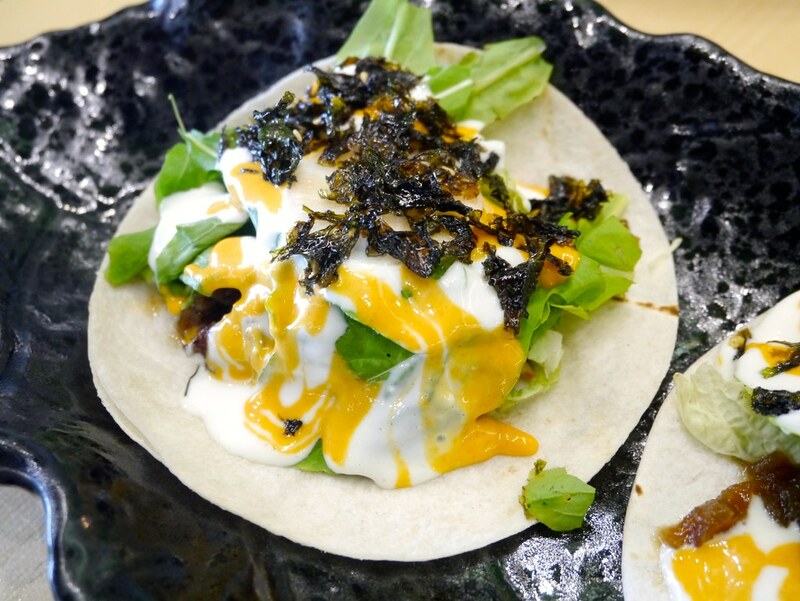 So even if bulgogi is supposed to be a Korean cuisine, the dish tastes Japanese too because of the nori and the sauce. I have to show you a close up of the tacos because of the presentation and the nice mix of colors. Flavor-wise, it's T's favorite dish in Earth Kitchen. 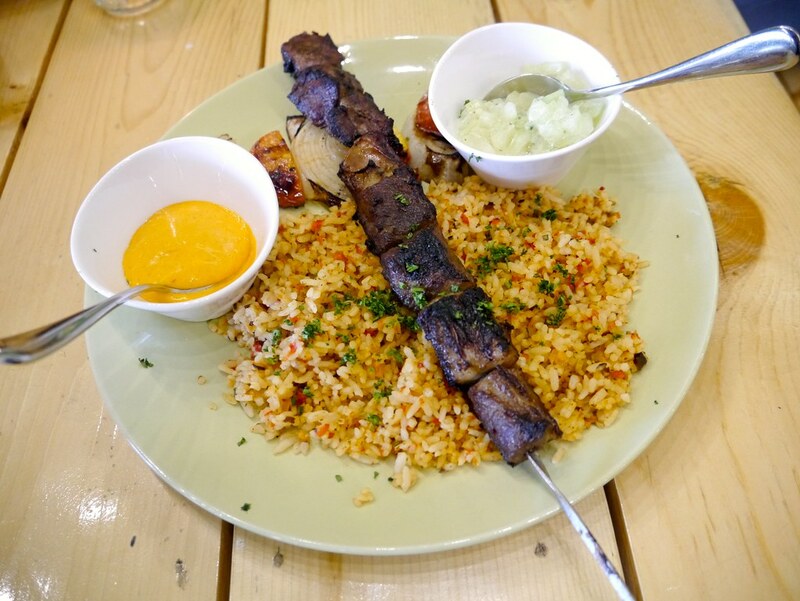 T and I are already full but they really want to make us try another Earth Kitchen best seller, the Beef Kebab (PhP360/$7.70) which is boneless beef ribs, tzatziki, grilled vegetables, organic Ifugao rice (but you can substitute this with 3pcs flour tortillas), and organic mixed greens. This dish is a must-try because the beef is so soft that even T, who has a toothache, didn't have a hard time eating the meat. I also like how everything mixes well with each other.. the rice, the beef, the sauce, and the cucumber salad. 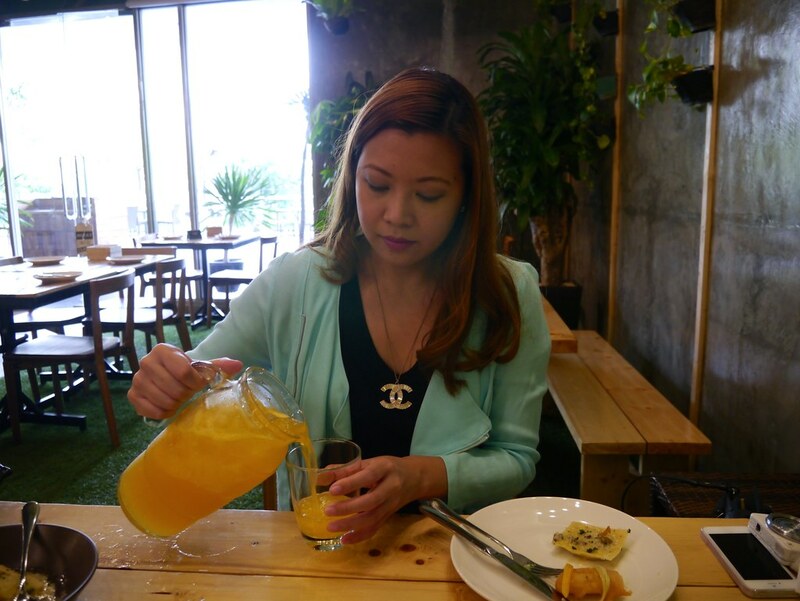 For our drink, I choose a pitcher of Fresh Dalandan Juice (PhP240/$5.13) since it is a bit hot that day. Unlike in other restaurants where a "pitcher" only fills up 2 glasses, Earth Kitchen's pitcher can be shared by two to four persons. And the dalandan juice is really refreshing. Despite all that food, there is always be room for dessert! Especially one that's homemade and prepared from scratch. Earth Kitchen's best seller is the Goat's Cheese Frozen Cheesecake which I am game to try but unfortunately, they ran out. So I order the Pastillas Ice Cream while T gets the Tablea Ice Cream (PhP180/$3.85). 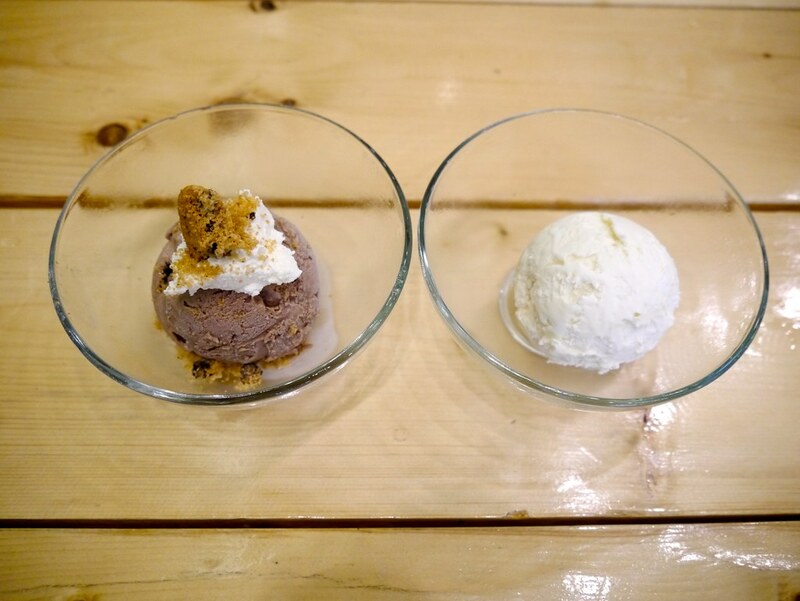 The Tablea Ice Cream is made of carabao's milk, tablea ice cream, and chocolate cookie crumble. It's yummy but not too sweet. 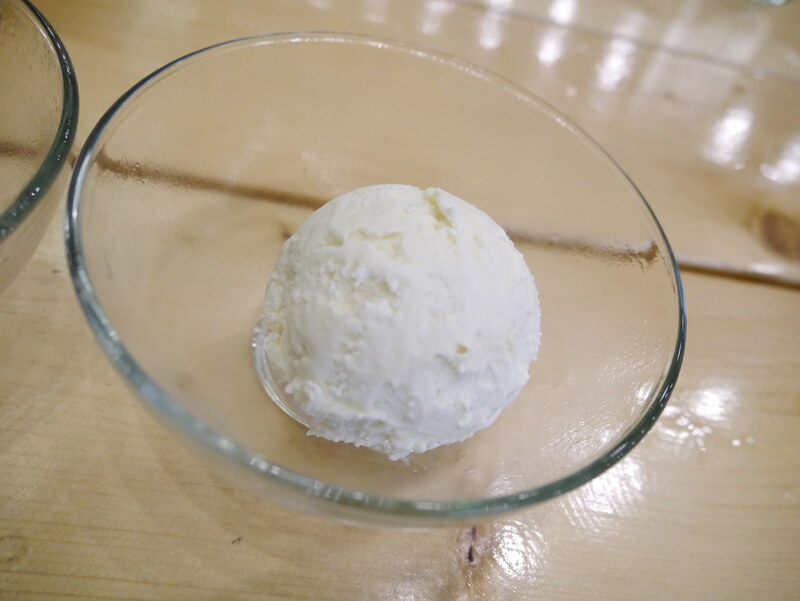 With the Pastillas Ice Cream, you'd think you're just eating ice until it melts in your mouth because that's when the pastillas flavor comes out. I find that effect pretty cool. 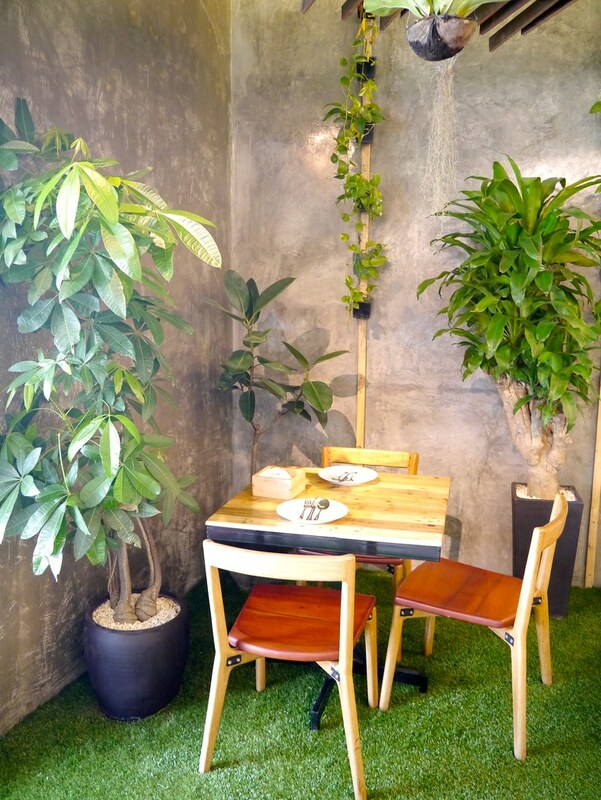 Nice ambiance with all the plants and greens around the restaurant. Healthy and organic dishes at reasonable prices. Supports local farmers and indigenous communities. 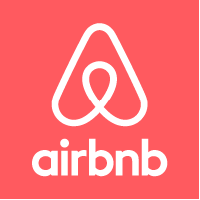 Has a private function room for small gatherings or meetings. 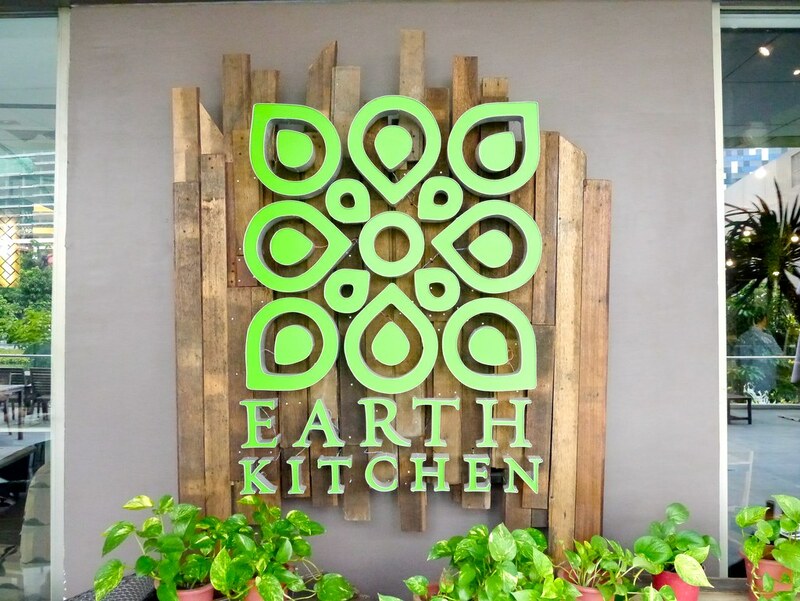 Earth Kitchen proves that healthy and organic doesn't mean bland or expensive. Good food, great ambiance.. What more can you ask for? 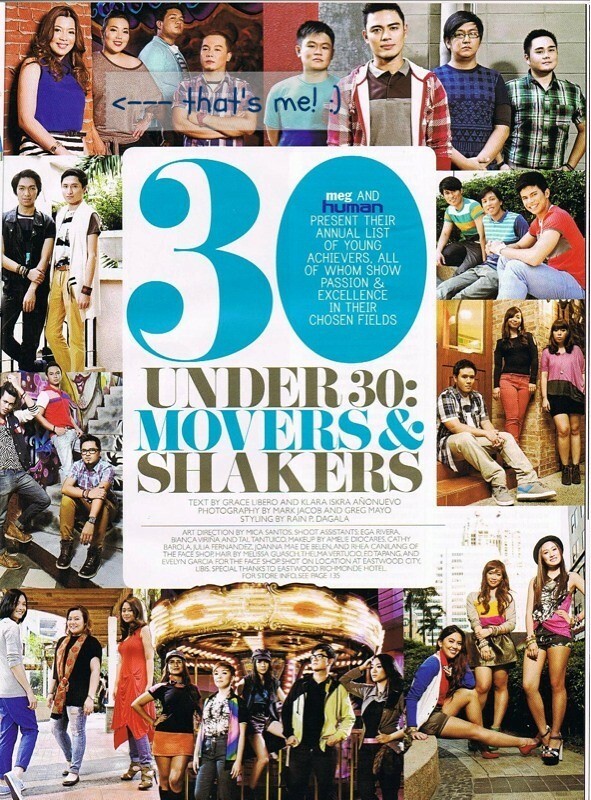 And to top it all off, they support local farmers and indigineous communities. T and I will definitely be back! My interest goes to the mushroom ravioli! 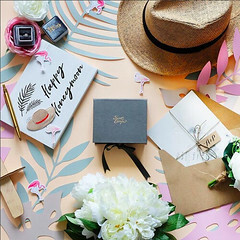 You're the second blogger that loved it too!